Located in the Krobielowice village, 15 km from Wroclaw, the Krobielowice Palace hotel offers its guests relaxing and healing holidays in the picturesque area with forests and ponds around. The hotel is in the area of the Park of the Valley of the Bystrzyca River that gives excellent places to walk and enjoy nature. Guests will find true tranquility in the magic area full of healing fresh air, unspoiled nature and picturesque landscapes. The hotel is only 5 km from the highway Berlin-Krakow that assures easy access. Nearby guests can visit beautiful city of Wroclae, Silesian Natural Park, the Sleza mountain with ancient sculptures as well as romantic village of Sobotka. The hotel is housed in a splendid historic palace that dates back to 16th century. The palace was renovated in 1992-1996 giving it the comforts of modern hotel. The hotel can accommodate up to 58 guests in 18 double rooms, 1 single room, 1 four-bedroom and also 2 apartments All rooms have a bathroom. Guests can relax in a sauna free of charge. The cozy restaurant decorated in hunters items and stylish period furniture gives creates an excellent atmosphere for romantic dinner and to enjoy traditional Polish and international cuisine. The Krobielowice Palace hotel also offers transfer to/from the airport/train station as well as organization of excursions and various events. The hotel has 5 conference rooms with audio visual equipment. Some of the rooms can be arranged into one big room. The hotel accepts the following credit cards: VISA, MASTERCARD, POLCARD, EUROCARD and also discount card PTTK. The Krobielowice Palace is situated in picturesque and peaceful place, surrounded by greenery, ponds and lakes. 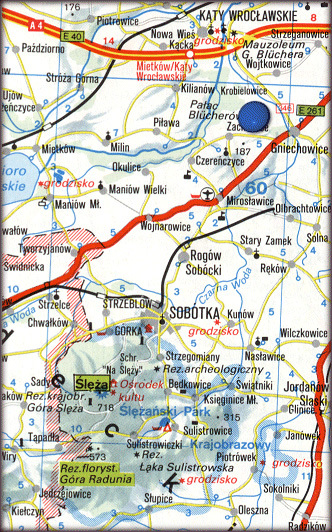 Small Krobielowice village lies 15 km south-west from Wroclaw and 20 km away from the airport in Wroclaw ( domestic connections, and international with Frankfurt and Vienna).